First of all, I'd like to add my "WELCOME, Laura!" I’m so happy you’re here. Happy, too, about all the poetry you and April and JoAnn have been posting. That has me itching get back to writing more of my own (I was going to say you all were infectious, but that didn’t sound quite right). Since we’re headed into conference season, I thought I'd post a relevant poem I wrote a few years back. Just before a fall conference, my SCBWI regional advisor called and asked if I’d get up on opening night and give sort of a “what not to do” talk regarding conference etiquette. (We’ve all heard horror stories of writers following visiting editors into bathrooms to talk about their manuscripts, right?) Then she added, “Make it funny. And how about writing it in rhyme?” Ack! It’s my first time at a conference. This? My brand new picture book. Let me hold your glass of wine so you can take a better look. See? It’s bound and fully laminated. Just look at how the silver glitter sparkles in the light! My nephew did the illustrations for me. I’m developing a series. This is number one. Of eight. Yes, you are a little peaked. Let’s go over there and sit. What? You have to do the schmoozy thing and “work the room” a bit? I’ll come with – and show you photos of Chief Kitchy-coo, my dog. He’s the hero of my story (written all in dialogue). See, he flies around Chicago with his mother, solving crimes. It’s a shoe-in for that Printz Award. And check this out … it rhymes. There’s a song at the beginning. and a note reminding children that the story’s just pretend. and I’ve sent one to the Oprah show. I wonder … do they pay? Oh, you have to hit the ladies’ room? No problem. I’ll come, too. While you’re taking care of business, I can read aloud to you. Hon, is everything OK in there? You need a helping hand? What? You have a splitting headache? Sure, of course I understand. You can take my little story to your room and read it there. No, it’s quite all right. Yes, I insist. I want you to, I swear. Let me walk you to your suite. Oh, it’s no trouble, none at all. Well, for goodness sake, we lucked out. Look! My room’s just down the hall! Here’s an Advil for that headache. Here’s my card. Know what? Take two. Now, remind me of your name, hon, and … you edit books for who? Don’t you let the bedbugs bite. Ow, ow, ow! My foot was in there. After I read the poem to the group, one editor took me aside and said that, sadly, the fictional writer of my poem wasn’t far off the mark. Yikes. Jane Yolen, who was one of our speakers, told me to send it to The Writer (which was still in business at the time). I did, and they published it in their April 2008 issue. You can sign up until April 16th – and remember to enter the RhyPiBoMo Golden Quill Poetry Contest. Even if you don’t officially join in, you can follow along daily. 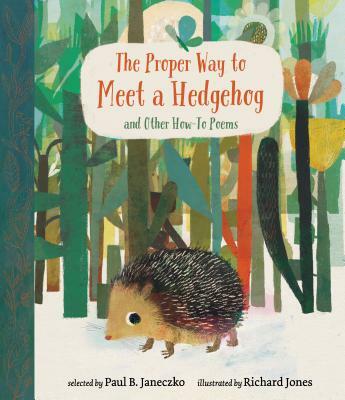 Angie has lots of rhyming picture book authors lined up to post each day with tidbits of wisdom to help you improve your own rhyming picture books. See all the details on Angie’s site. P.S. If you haven’t yet entered for a chance to win Laura’s Water Can Be…, hurry! You only have a little more time! 1. Pick a topic you want to write a short poem about. I think I’ll do, um, fences. Yup, fences. Pick something you’ve never written about and don’t actually want to write a whole poem or picture book about. That will make this less stressful! 3. Add detail in rhyming line. Wood or metal, short or tall. Again, a big, fat nothing. While, I was thinking about that, the word divide popped into my head, which would rhyme with inside or outside. So I’m going to play with that. 5. Now try another couplet to show your concept. A fence’s job is to divide. A fence keeps beagles safe inside. I don’t like that because it’s not clear. And the two lines don’t really connect. No cause or effect. Each line is true, but there’s no relationship between them. I’ll try again. I think that second concept is too big for two short lines. I’m going to simplify to the concept that a fence keeps animals safe. keeps grazing cattle safe inside. 6. Read over the four lines you wrote. Congratulations! a fence becomes an outside wall. Again, this is just very basic. But doing this exercise can help you build some rhyming/meaning muscles, so it's a great practice activity for any would-be rhymers! 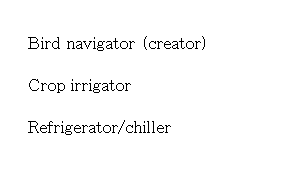 Here are a couple of bits from my first draft of A River Can Be…, which eventually turned into Water Can Be…. You can see this process at work here. It’s just a combination of picking a word I KNOW works for the topic, brainstorming rhymes, and then trying out lines with those other rhymes to see which ones work both for rhyme AND for topic. And when a word didn’t have enough rhymes to play with (like haven), I tried a synonym that was more rhyme-friendly. I hope you have fun trying your hand at a little bit of rhyme today! I'd love to see what you come up with! Feel free to share your four lines in the Comments! Oh! And don't forget to enter our book giveaway of Water Can Be...! 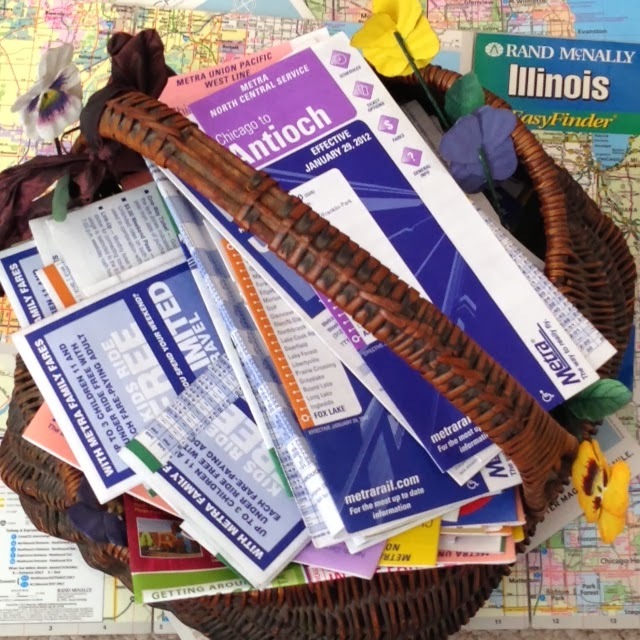 by clicking on the Rafflecopter widget in last Monday's post. When I was a kid, I had no thought of being an author OR a teacher! As the youngest of four girls, I was always one of the students when we played school. As I think of my sisters, Miss Trunchbull comes to mind—ha! I never ever got to be the teacher! (On the plus side, this helped me become an early and voracious reader). And while I loved to read, it never occurred to me that real people wrote all those books I devoured. and Patty (right). I'm the peanut in front. When I started college, I planned to be a veterinarian. My first creative writing class killed that plan, and I knew I would do something with books, reading, and writing. That something turned out to be LOTS of things. First, I became a magazine editor. When the publication was sold, I decided to try teaching (I was certified for Secondary English). I taught 8th-grade English for two years, and it was exhilarating, exhausting, and life-changing. I knew I did not have the stamina to stay in it for the long haul and try to be an amazing teacher while dealing with administration, assessment (even back then! ), politics, and parents. But I loved my 8th graders and their wild creativity—and the books we were constantly reading. A seed was planted. I wonder what it would be like to write kids’ books? ﻿﻿Then my husband and I moved to Minnesota. While doing freelance writing for grown-ups, I held part-time jobs over the years as a copyeditor, a personal care assistant for young adults with disabilities, a teacher in our school-age latchkey program, etc. When we had kids, the thousands of books we read with them nourished that seed and helped it grow: I want to write books for kids. Even though that was by far NOT my first choice. ﻿And thus began my history of writing children’s books. 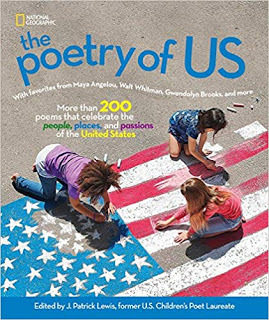 To date, I have written about 110 nonfiction books for the educational market, 12 poetry collections, and two rhyming nonfiction books. 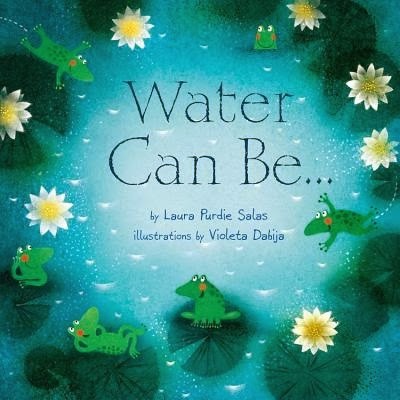 In fact, my newest book, Water Can Be..., comes out on April Fool's Day, and we're doing a giveaway of it here on TeachingAuthors.com! You can enter using the Rafflecopter widget at the end of the post. Enter through April 1, 2014, the pub date of Water Can Be...! Water Can Be... comes out on April 1! One of my biggest surprises has been how much I get to still teach. I teach adult writers through conferences like SCBWI’s, the 21st-Century Children’s Nonfiction Conference, and the Loft Literary Center’s Children’s and Young Adult Literary Festival. I have taught in-person and online classes on writing for children, finding publishers to submit your work to, and more. A colleague, Lisa Bullard, and I also mentor children’s writers through Mentors for Rent, an hourly-based critique and coaching service for children’s writers. ﻿﻿I also get to present to educators and librarians, which I love! I’m usually spreading poetry joy—in fact, in a couple of weeks, I’m going to present at the UNLV conference. I can’t wait. Presenting through IRA, ALA, and NCTE have been highlights for me. And I get to connect to kids, too, through elementary author visits and young authors conferences. I have a blast getting kids excited about reading, writing, and poetry. And I don’t have to assess them or do any of the other ongoing tasks teachers have to keep up with. My work as a teacher and an author are entwined in my mind. I can’t imagine one part of my career without the other. If I weren’t a writer, I obviously wouldn’t be invited to speak to teachers and writers and students. But if I didn’t do the teaching, I do think my writing would suffer. Getting out there and being in schools, with kids, helps me stay in touch with kids’ real lives today, especially now that my own two are officially adults—gulp. 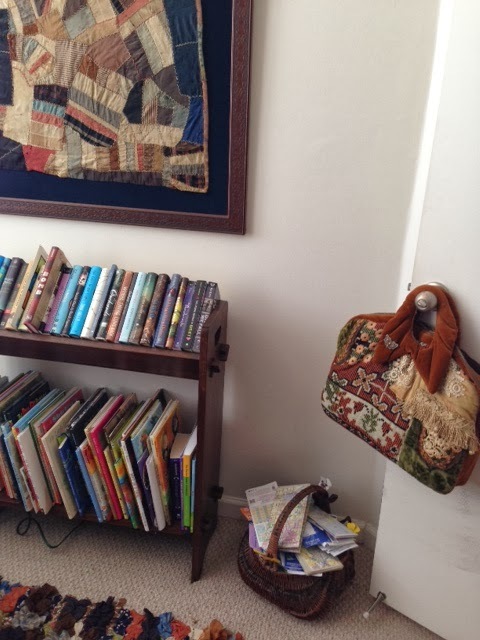 And…that’s probably more than you ever wanted to know about my writing journey! I had planned to post a poem today about sticking my neck out. As I recall, it had a really good comparison between the way a giraffe might plunge in headfirst and an amoeba slides its foot forward. Alas, I cannot find the poem on my computer. Did I ever even write it, or was it just one of those lingering ideas that never found its way onto paper or from paper to keyboard? Maybe I'll write it one day. In whatever we write, though, our own experiences shine through. Wisconsin's winter has been the coldest in thirty years or so. 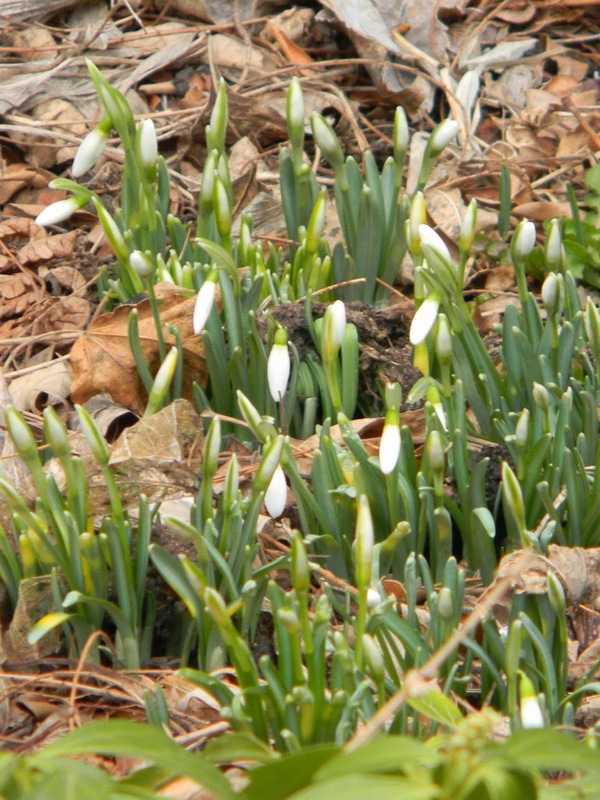 Spring? We're so ready! 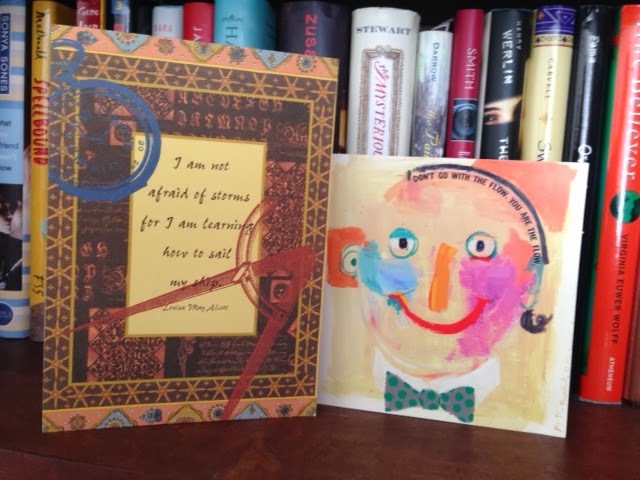 Today's Poetry Friday Roundup is at The Drift Record. Enjoy! Thanks for hosting it today at Rogue Anthropologist, Kara! 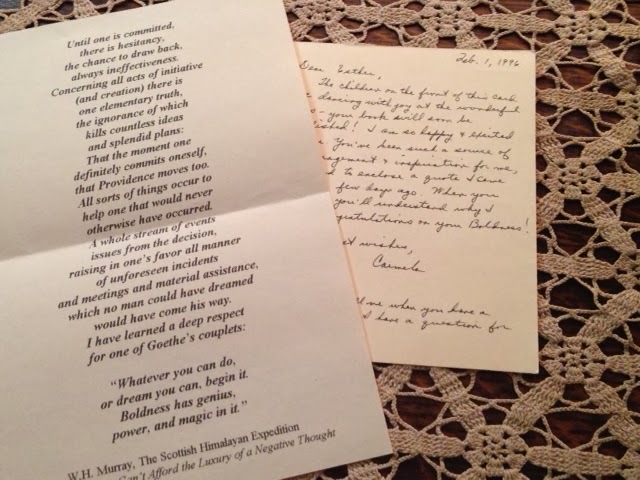 "I didn't know that JoAnn likes to start her day writing in longhand before turning on her computer. Or that Jill tries to exercise first thing, even before breakfast. (Now that's what I call discipline!) Or that Laura, our newest TeachingAuthor, works best when she writes in short, intense bursts. But I was especially surprised to learn that none of them practice what they consider to be true writing rituals." I'm not sure I have a ritual per se. Before exercise class, I meditate for 30 minutes. Part of my ritual as I settle down to meditate is to open an invisible book and ask to be a channel as a writer. The above poem is a mask poem--written from the point of view of something that doesn't speak. What's your ritual? Monkey wants to know. 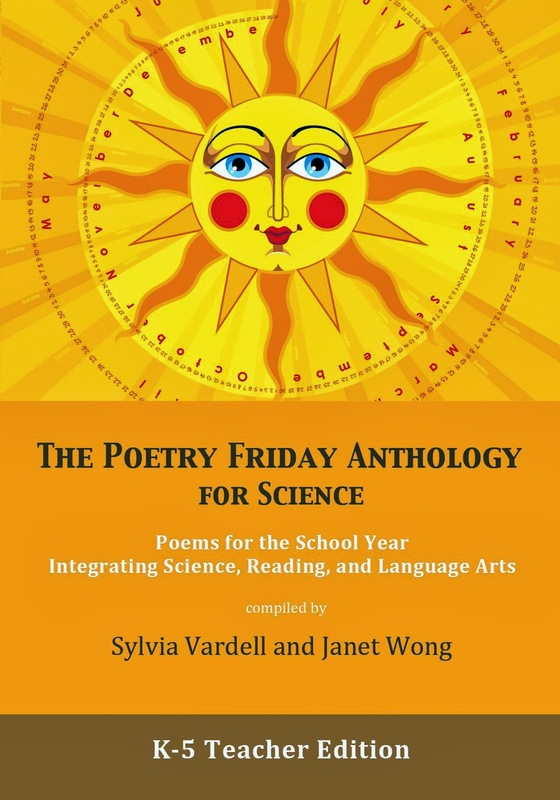 P.S: MUCH more on this later, but we are proud to announce that several TeachingAuthors have poems in the newest edition of Janet Wong and Sylvia Vardell's amazing Poetry Friday Anthology series...this one is the Poetry Friday Anthology for Science-grades K-5--wooo wooo! ...or individual books available by grade level...check them out! posted by April Halprin Wayland with help from Monkey and Eli. Confession time: I'm the one who suggested we do a series about writing rituals. So I've read my fellow TeachingAuthors' posts with great interest. I didn't know that JoAnn likes to start her day writing in longhand before turning on her computer. Or that Jill tries to exercise first thing, even before breakfast. (Now that's what I call discipline!) 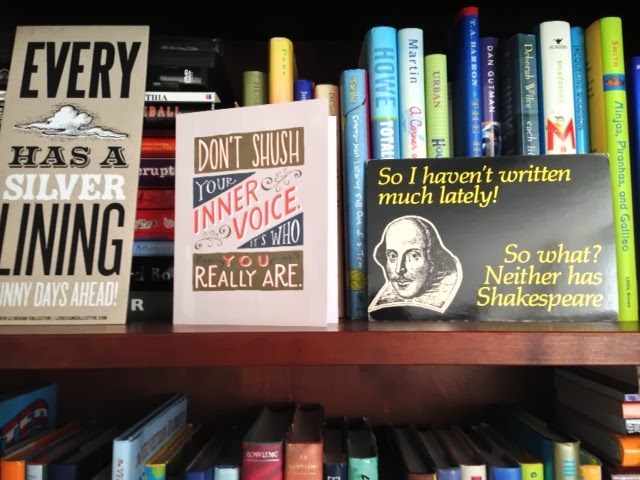 Or that Laura, our newest TeachingAuthor, works best when she writes in short, intense bursts. But I was especially surprised to learn that none of them practice what they consider to be true writing rituals. 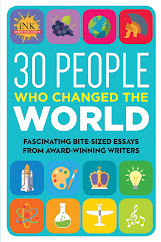 1) I've read so many articles about the quirky rituals practiced by writers, such as those mentioned in Debra Eve's article that inspired this series, that I assumed nearly all writers had some sort of ritual. 2) I have several rituals of my own. There. I've said it. I may turn out to be the only TeachingAuthor with regular writing rituals. If that's the case, so be it. Since I'm the one who suggested the topic, I feel obligated to be honest. Even if it means confessing that my ritual includes prayer, something I don't typically talk about on this blog. I still remember the first time I heard an author admit that prayer was part of her daily routine/ritual. 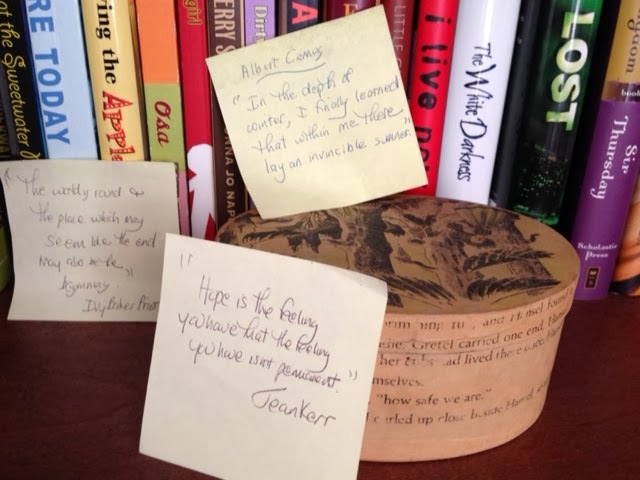 It was at one of our Vermont College residencies, and someone asked a highly-acclaimed visiting author about her writing routine. I was floored when she told the crowded room that she started every day with prayer. I'd been doing the same for years, but I'd never dreamed of admitting it in public, or hearing a fellow writer admit it. I guess I'd been raised to believe prayer a private matter. Even now, I feel a bit uncomfortable discussing it here. Oh well. I light a candle and say several short prayers, including one that my work will be a blessing on the world. I pull up the music files on my computer and play some classical music to drown out other sounds/conversations going on in the house. I open my Daily Tracking Log file on my computer and record my start time. I set a timer for however long I want the current writing session to last. I write until the timer goes off. "J.D. Moyer jots down ideas for the next day’s session and says a prayer of thanks (even though he’s an atheist)." Addendum at 10:30 am Monday: I recently started reading Wonderbook: The Illustrated Guide to Creating Imaginative Fiction (Abrams), by Jeff Vandermeer and this morning I checked out his "Chapter 1 Extra" about Discipline on the book's companion website. Vandermeer advocates giving up writing rituals, what he calls "fetishes," because they may actual give you an excuse not to write. You can read what he says on this page. Hi! 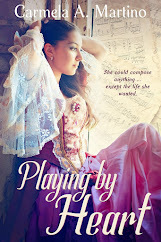 I’ll introduce myself more in a future post, but I’m Laura Purdie Salas, a temporary Teaching Author. I’m so happy to be here! Rituals. Hmmm…I was treadmilling the other night, listening to a lovely episode of NPR’s Backseat Book Club featuring Lucy Dahl, Roald’s daughter. Start at 3:40 for a fascinating glimpse into Roald’s writing setting and rituals. I wish I had such definite, comforting rituals. But I don’t. I do have a few elements I return to, though: light, movement, and time. 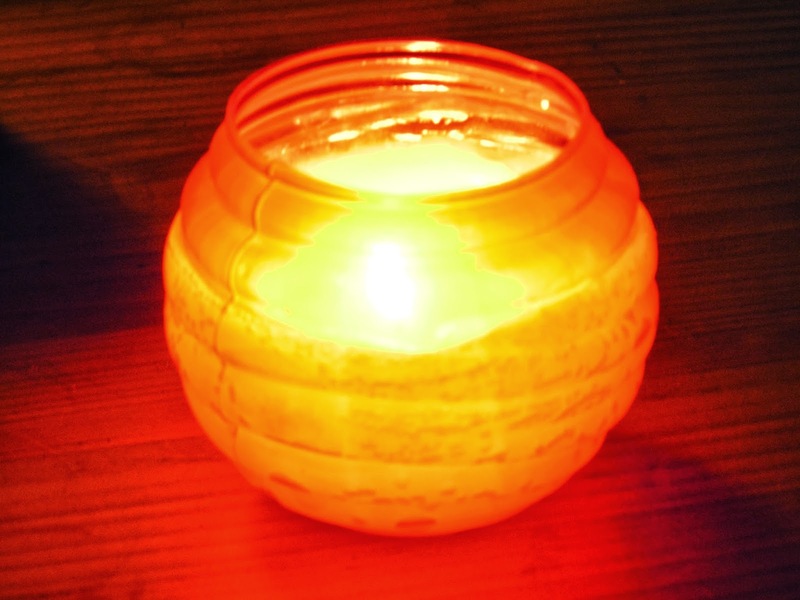 1) Light – Sometimes I light a little candle before writing. A flickering light sets my mind at rest, somehow. I have a lantern given to me by a dear writer friend that I love to write by. When I’m lazy but still want that flicker, I light my little febreze fake candle:>) Excuse me: Febreze Flameless Luminary. And when I’m super-busy, I just write by a window, with the blinds slatted upward so I get glimpses of trees and sky, but not distracting cute bunnies in the yard. 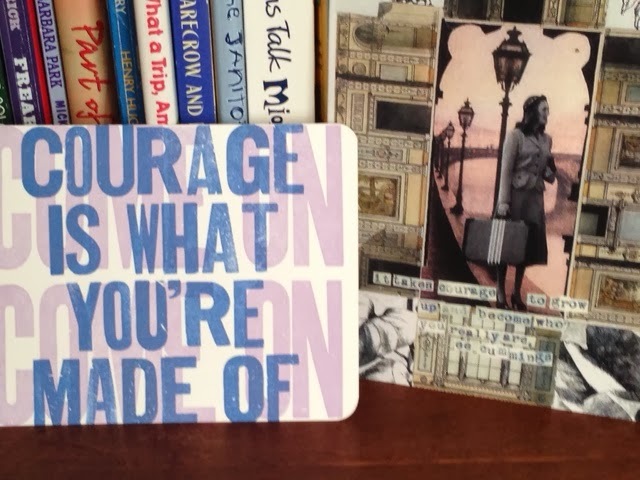 2) Movement: When I’m frustrated with my writing, I move. Can’t think of the right word? I’ll pace around the kitchen/dining room circle, or go walk Capt. Jack (when it’s not 20 below zero), or even just stand up and do 30 squats. 3) Time: Deadline-setting is really my only consistent ritual. I learned to be a writer in tiny bursts while blocking out life stresses. I still write best in small, intense chunks. No matter what kind of project I'm working on, I start the same way. I look at the clock. I look at the project. Panic shoots through me at my day's to-do list. Then I breathe and set a timer. “Rough draft of this poem. 20 minutes. Go.” Even if I have 3 straight hours of writing time, I probably work on 3-5 different projects during that time, each with its own deadline. 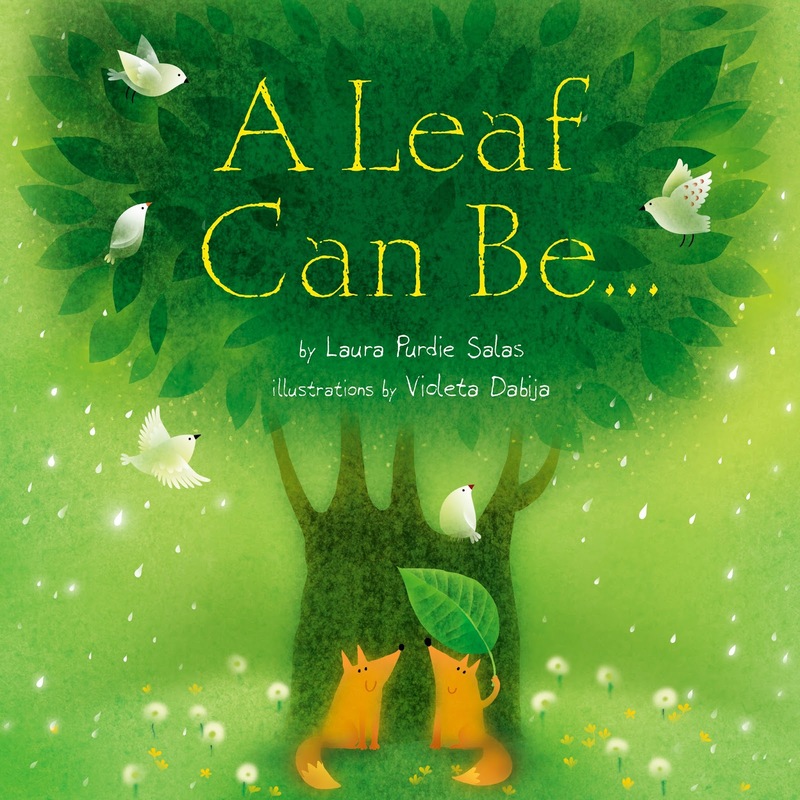 Laura Purdie Salas is the author of more than 120 books for kids and teens, including two recent books from Millbrook Press: Water Can Be ... and A Leaf Can Be ... (Bank Street Best Books, IRA Teachers' Choice, Minnesota Book Award Finalist, Riverby Award for Nature Books for Young Readers, and more), and Bookspeak! 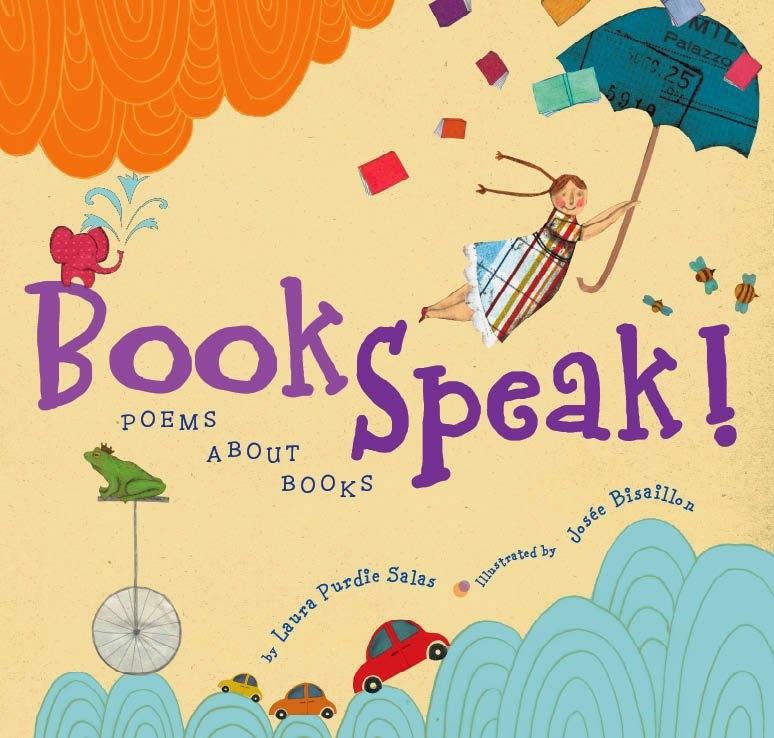 Poems About Books, published by Clarion (Minnesota Book Award, NCTE Notable, Bank Street Best Book, Eureka! Gold Medal, and more). She loves to introduce kids to poetry and help them find poems they can relate to, no matter what their age, mood, and personality, and she loves to get teachers excited about sharing poetry in their classrooms. 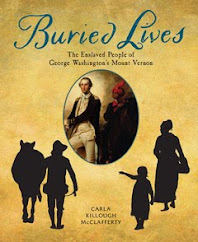 She has also written numerous nonfiction books. That's right, she's written over 120 books! Pretty amazing. You can read more about Laura and her work at her website. You can also Like her on Facebook and/or Follow her on Twitter @LauraPSalas or check out her writing coaching and critiquing services through Mentors for Rent. I hope you'll give Laura a hearty welcome when she posts here for the first time on Friday. Also, be sure to join us again later this month when we celebrate the official release of her beautiful new book, Water Can Be ... .
I’m the second one to post on the topic of writing rituals. Like JoAnn, I really don’t have any. I do have a habit, which is to hit the treadmill first thing every day, then shower and eat breakfast before sitting down to write. But that's only because if I don't exercise first thing in the morning, I probably won't do it at all. The surest way to call up my muse remains putting my buns in the chair and beginning something. Anything. Calling up the writing muse isn’t my problem. My problem is that I have trouble settling in to actually, you know, WRITE until I deal with all the writing-related stuff that comes with being an author – jotting thank you notes, replying to kids, adding an accounting entry, creating a blog post, responding to author visit requests, taking action on something that came in the mail, sending and answering important e-mails, keeping current on the few blogs I follow, etc. Once the decks are cleared, I tell myself, I’ll be free to create. But as I’ve learned over the years, those other things are never finished. Never. I'm not complaining; I enjoy the business (and busyness) of being an author. Often, though, I get so caught up in putting out every. little. 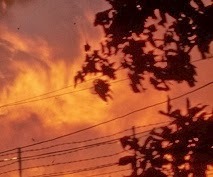 fire. that, before I realize it's happening, I've allowed them to hijack my entire day! Confession: I've been struggling with this lately. A lot. So now, taking a cue from my buddy (I wish) Jack, I’ve created a new schedule – and hung it near my computer – that compartmentalizes my day in a way I haven’t tried before. I’ll be putting out fires first thing in the morning and again late in the afternoon. But I have plenty of writing time in between. I need this to work, as I have three book deadlines marching ever nearer. Discipline – my new middle name.